This was painted for the reviews section for Rolling Stone. 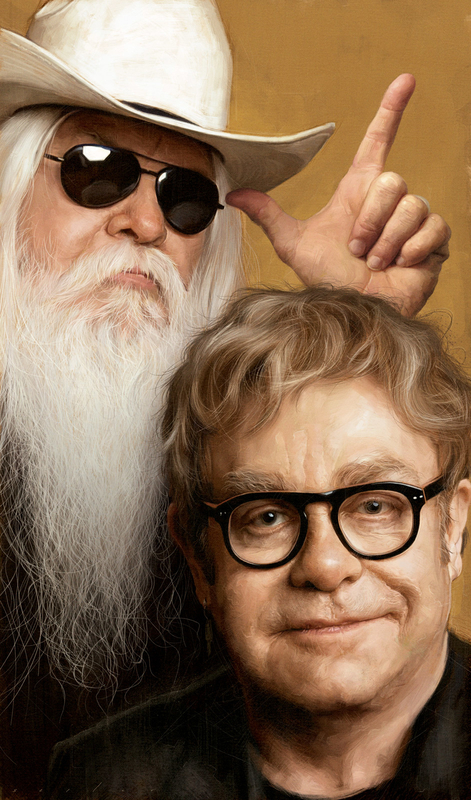 Leon Russell and Elton John have recorded an album together, due October 2010. It was a challenge painting this piece. For those who know me, I'm known for painting exaggerated portraits or caricatures, but for this assignment they wanted a real portrait painted in my style. It was really hard not exaggerating Elton! There were many times where I caught myself pushing things a little too much and then I'd have to go back and re-work the area.